Here's a list you should review to make the web projects faster & better. This is a JS library for mobile-friendly interactive maps. It is tiny, but offers almost all the features you would require for online maps. 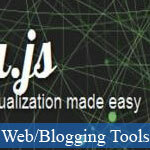 This JS library boasts a huge amount of multivariate datasets in the browser which can be explored easily and quickly. It is a tiny micro-library that defines and dispatches keyboard shortcuts. This useful Kartograph allows you to do cartography (making maps) without using Google Maps or any other such service. This tiny framework is perfect for making decent, good looking and, interactive vector map applications. This one provides you a handy way of making dynamic bits of HTML and adding subtle effects to your content to make it more attractive. This one is fabulous collection of some cool CSS list scroll effects. The style of scroll effect is decided through the class set on the list. This handy tool has the ability of warning your users when their network goes down, to make sure that they don't lose anything important. It is a great open-source script that allows serving high-resolution photos to devices with retina displays easily. It simply renders image placeholders completely on the client side. It has the ability of working both online and offline, and provides a chainable API to style and creates placeholders easily. This one is an awesome open-source and tiny JS library that allows you to draw graphs, utlizing the HTML canvas element. It also has the ability of displaying interactive static graphs exported from graph visualization software such as Gephi. This one is a nice JS library which allows creating web heatmaps with the HTML5 canvas element based on your data. It is the reverse opposite of jQuery, as instead of utilizing CSS selectors for finding elements, you have the ability of using the same syntax for creating elements. This one is a HTML5 Canvas JS library that has the ability of extending the 2d context by enabling canvas interactivity for desktop and mobile apps. Simple and useful! This one is a dashboard and graphing toolkit based on D3 and Backbone. It provides you with a real time dashboard that exists on top of Graphite, but you have the choice of tailoring it to any back end you want. This awesome app allows the webpages to tell if the user's device has the capability of viewing high-resolution photos, such as iPad 3, before requesting the photo from the server. As the name suggests, this tool has the ability of allowing easy implementation and activation a large number of social sharing buttons whenever and wherever you want - on document load, article hover, event etc. This one is a handy framework-agnostic styled alert system for JS. It utilizes CSS animations and background, so it is very lightweight. This one is an amazing and feature-rich pagination plugin. It boasts a lot of useful features, such as auto page turn, key and scroll browse and displaying items with delay etc. This one is a rich and opinionated client-side stack, boasts many tools and frameworks that allow developers to create web applications with ease. It allows animating any CSS property of any element based on the horizontal scrollbar position. This one is a nice JS library that can be used to work with URLs. It gives you a "jQuery-style" API (Fluent Interface, Method Chaining) for reading and writing all regular components and many convenience methods like .directory() and .authority(). This tiny library utilizes jQuery and Raphaël let you draw time-series graphs easily and quickly.